There will be no flea market this year just the citywide garage sales. The Cheyenne Chamber of Commerce Annual Flea Market and Citywide Garage Sales will be held on Saturday, June 11th. The Flea Market will be held in the Ag Pavilion. Doors will open at 8:00 a.m. and close at 2:00 p.m. The flea market will feature vendors with new items as well as booths with garage sale type items. 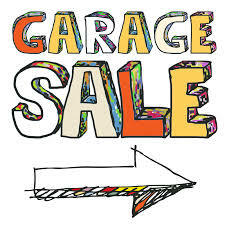 Booths are $20.00 for a garage sale booth and $25.00 for vendors with new items. If you wish to put your garage sale on the city map, which will be distributed at businesses in town, contact the chamber office. Cost for being on the map is $5.00. There will be a concession stand during the flea market hours. This year's concession will be serving hamburgers, barbeque, nachos and pretzels. If you are interested in reserving a booth or putting your garage sale on the city map please contact the Chamber office at 580-497-3318 or email cheyennecoc@gmail.com.